Food for Agile Thought’s issue #142—shared with 17,322 peers—covers corporate innovation failure patterns, dives into flow metrics for Scrum, and asks: does more planning make the team more successful? 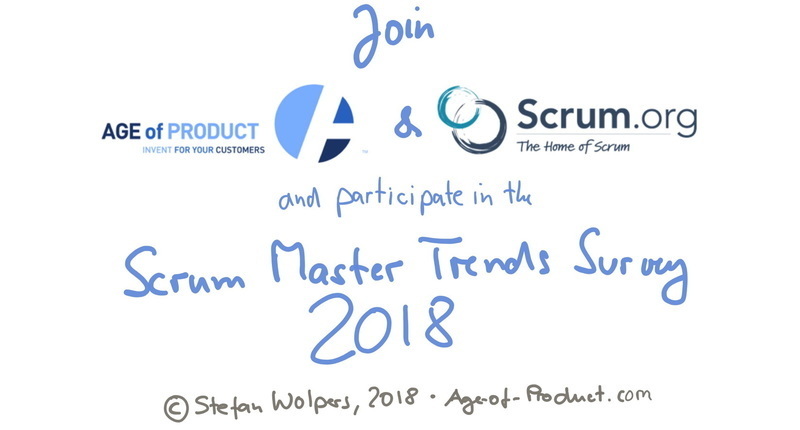 Lastly, we like to invite you to participate in the Scrum Master Trends Survey 2018 — a joined-venture of Scrum.org and Age of Product. Josh Berry provides a comprehensive list of systemic anti-patterns that proof why innovation in corporate settings is so tricky. Borrowed from Kanban, Yuval Yeret introduces four key metrics that Scrum teams can use to improve their flow. Allan Kelly shares insights and statistics from ‘The Extended XP Game’ — suggesting that less planning results in more (financial) gain. John Cutler analyzes systemic issues that may result in a drop in confidence thus triggering defensiveness, opacity, and micro-management. Like last year, the purpose of this the anonymous Scrum Master Trends Survey is to create a clear, data-backed benchmark that allows everyone in the agile community to get an understanding of Scrum Masters (and agile coaches), their background, how they got there and where their compensation falls in comparison to others in the community. This year, Age of Product and Scrum.org have teamed up to conduct the survey. A free report highlighting key findings will be released after the data has been collected and analyzed by the end of September 2018. Participate now: Scrum Master Trends Survey 2018. Jon Kolko explores the split between the value of design thinking and the backlash it is receiving from some among the product creator community. Jonathan Courtney shares a case study on how LEGO® scaled design sprints throughout its organization. Tony Ulwick shares the JTBD canvas to encourage and help product, marketing, and strategy teams to discover better opportunities to serve their customers. Read more: Food for Agile Thought #141: Agile & Taylorism, Outcome Debate, NIH Syndrome, Team Self-Selection.